Lipodrene is a diet pill, is for people who are looking for one product to serve as a fat burner, energy booster, appetite regulator, and natural diuretic (website). This Lipodrene review will explore the ingredients in Lipodrene and reveal the truth behind Lipodrenes claims. Sida Cordifolia has been used for centuries to treat various health issues including asthma, fluand cough. However, the stem of the Sida Cordifolia plant contains high levels of Ephedrine, which has been banned in the U.S. Although the Lipodrene website does not list Ephedrine as an ingredient, it is very possible that Ephedrine is included as part of the Sida Cordifolia Extract. There is no clinicalevidence to show the effectiveness of Sida Cordifolia in weight loss. Citrus Aurantium contains synephrine, which has been shown to contribute to weight loss. However,Lipodrene fails to disclose the amount of citrus aurantium contained in their formula, so there is no way for this Lipodrene review to determine the effectiveness of citrus aurantium in Lipodrene diet pills. Caffeine is a great ingredient in contributing to weight loss. However, you should be aware of yourpersonal reactions to caffeine before taking Lipodrene or any product containing caffeine. Unfortunately, once again Lipodrene fails to tell you how much caffeine it contains so you wont know whether it will be effective or not. 5-Hydroxytrptophan (also known as 5-HTP)is an amino acid included in diet pills for its mood enhancing effects. While studies have shown 5-HTP does enhance mood, studies have not shown what the side effects of 5-HTP are. Green tea has been proven to contribute to weight loss by increasing metabolic rate. However, Lipodrene fails to list how much green tea is contained in their proprietary blend. Cassia Nomame is supposed to be a lipase inhibitor. Unfortunately, the only studies showing weight loss due to Cassia Nomame tested rats; studies have not been done on humans. Hoodia is simply an overhyped waste of money. There is NO clinical evidence to prove that Hoodia actually contributes to weight loss. Don’t be fooled by outrageous claimsHoodia is not worth your money. Yohimbe, in addition to contributing to fatty acid mobilization, is also used to treat erectile dysfunction. 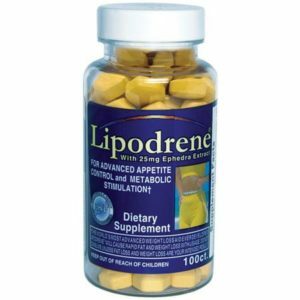 The Lipodrene diet pills sold on the Lipodrene website do not list ephedrine as an ingredient. However,many websites are selling the older version of Lipodrene diet pills, which do list ephedrine as an ingredient. Lipodrene makes several interesting claims which they fail to back up. The Lipodrene website talksabout clinical studies done on Lipodrene. However, they do not mention who performed these studies,when they were performed, or where/if the results are published anywhere. Lipodrene offers a Risk free trial. They claim, We are the Only Company Online that Offers this (RISK FREE TRIAL) (website). The truth is there are several diet pill companies that offer almost exactly the same trial offer. The Lipodrene trial offer says, Simply try our product for at least 30 days. If you are not completely satisfied – for any reason – return the product to us within 90 days for a complete refund lessshipping/handling fees (website). We do like that Lipodrene gives 90 days for customers to return products. We also like that Lipodreneallows customers to return open bottles. Lipodrene diet pills cost $39.95 for 100 tablets. If you take the recommended 2 tablets per day,one bottle will last 50 days. This is quite inexpensive for a diet pill. 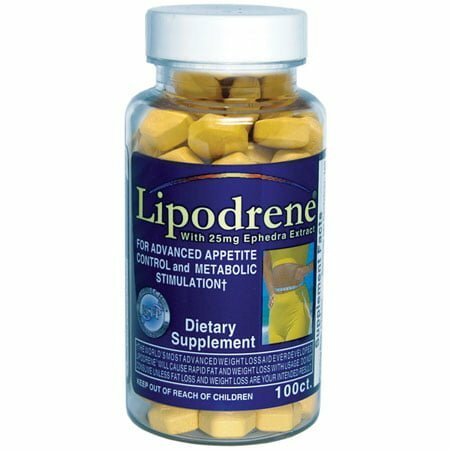 However, since Lipodrenedoes not disclose how much of each ingredient is included in their formula, it is impossible to determine how effective Lipodrene will be. Thus, any amount is too expensive for Lipodrene. 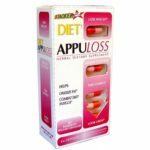 This review finds that Lipodrene diet pills are not worth the money. While they do containseveral proven diet pill ingredients, Lipodrene fails to disclose how much of each ingredient theyinclude in their blend. We recommend you look for a diet pill that includes proven ingredients in proven amounts.